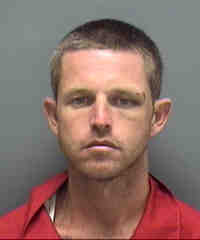 (December 17, 2013)- A North Fort Myers man was sentenced today for two burglaries he committed in Cape Coral back on May 10, 2013. Ryan Patrick Fox (W/M, DOB: 11-28-1982) of 2264 Cantor Ln. was arrested for burglaries he committed at 324 NE 7 Street (CR# 13-007485) and at 4328 NE 23 Ave (CR# 13-007471) by Cape Coral Detectives. Fox was sentenced to 15 years in the Department of Corrections, with a Career Criminal Designation of a Prison Re-Release Offender. His sentence also included maximum penalties for his 3rd Degree Felony and Misdemeanor charges.